Loved this beautiful tale! Charlie Lionheart stole my heart! Rich, vibrant story telling. One that will forever stay with you. 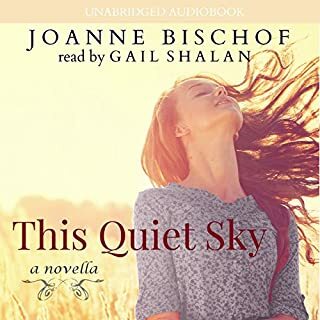 Where does This Quiet Sky: A Novella rank among all the audiobooks you’ve listened to so far? This was one of the best narrations I have listened to. It ranks at the top with Sissy Spacek reading To Kill a Mockingbird. Gail Shalen's narration embodied Sarah to a "T". Identifying with the characters. Feeling present in the story. The ability of the author to tackle a tough subject with such grace and hope. 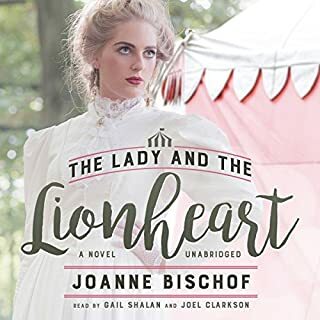 What does Gail Shalan bring to the story that you wouldn’t experience if you just read the book? She caught the essence of Sarah. She paced it so beautifully. It made me hungry to pick up the novella and let her read it aloud to me as I followed along. I have listened to this and will re-listen to this again and again. I was very impressed with the narrator chosen as it is important to me that the voice fleshes out the character. This narration achieved this perfectly!